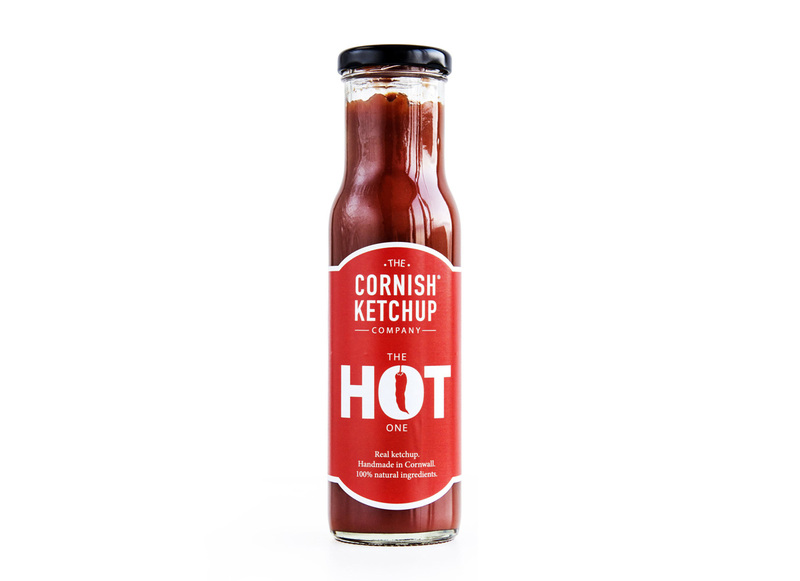 Hot tomato ketchup made right here in Cornwall by The Cornish Ketchup Company from 100% natural ingredients. No artificial flavours, colours or preservatives. Just the good stuff! Tomatoes (112g per 100g of ketchup), Sugar, Red Wine Vinegar (sulphites), Spirit Vinegar, Cornflour, Salt, Lemon Juice, Tomato Purйe, Chilli Powder 1%, Celery Salt, Cayenne Pepper, Onion Powder, Garlic Powder (sulphites), Ground Ginger.